Hey friends! I am so excited to share with you about an opportunity I have to serve the Lord in Thailand this Summer. As you know, for the past nine years, our family has been involved in leading trips overseas, for seven years at NEXT Worldwide and now, for the past two, with LifeVesting International. In July, I will actually have the opportunity to serve on a short-term trip in Thailand as a member of a women’s team, where I will be joining in the work of ministering to different women’s groups in the Nong Nae area. This particular area of Thailand is at a crossroads between where things have stood for generations and where they are headed in the future. Numerous factories have been built in recent years and even more are in the works, giving new opportunities for people who, until recently, only had rice farming as a primary occupation. These factories are set up within close proximity to one another, where entire new towns are popping up almost overnight! There is a great need for churches to be planted here, and building relationships among the people is crucial for this work to flourish. 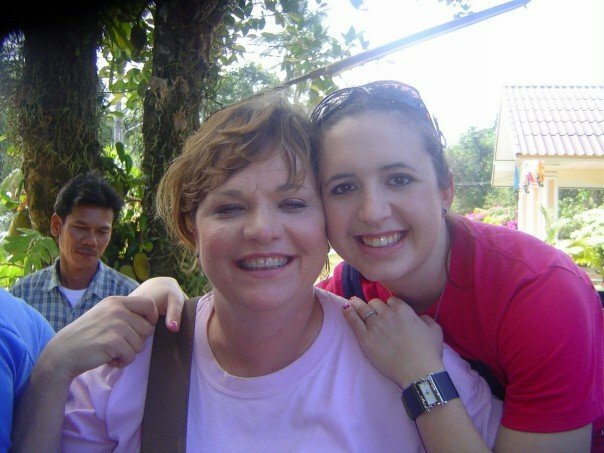 Our trip will be from July 13th through July 21st, and will primarily focus on ministering to some existing women’s groups in the area of Nong Nae, but also in building relational bridges within the community with women who may not know Christ yet. Gospel-centered conversations, training in what it means to be a godly woman, and even serving alongside an after-school program for students whose parents work into the evening hours will also be part of our overall goals. As with any outreach, our hope is to mirror the love of Christ and point to his gospel in everything we do. For a trip like this, financial support is an important part. The cost of this trip is $2500, which includes everything from airfare to food and lodging, as well as funds that will be given to the Church in Nong Nae as a blessing to their people as they continue to plant new churches and train up new believers in the way they should go. For this trip, I am raising support as a team member and not as a paid staff member of Lifevesting International. Funds raised will be additional to our monthly family support. Would you prayerfully consider being part of my support team and helping me reach my goal of $2500? There are several different ways in which you can give towards my trip: first, simply by mailing a check in to LifeVesting International. The address is 1120 Hillcrest Rd. Suite 2A, Mobile, AL 36695. If you choose this option, please make the check out to LifeVesting International and put my name in the memo line. The other option is to go through their website (www.lifevesting.org) and give through the support tab, being sure to put my name in the comment section. All donations are tax deductible, as LifeVesting International is a 501(c)3 organization. If for any reason I’m unable to participate in the trip, your gift will be used to support this particular team from LifeVesting International. Thank you for considering partnering with me for this trip! Your prayers mean so much!